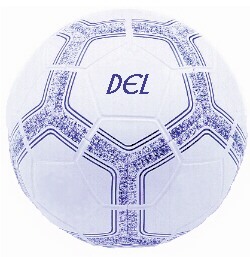 The DEL Match Soccer balls (Size 5) are modeled on World Cup balls and engineered for the highest level of competitions. They are made of top quality polyurethane and are imported to our factory from Japan. Size 5 Balls are suitable for all players 12 years and above. Our soccer balls are engineered to the specifications required by the international regulatory organizations for roundness, weight, size, water absorption resistance, impact ability, bounce height and stitching strength. 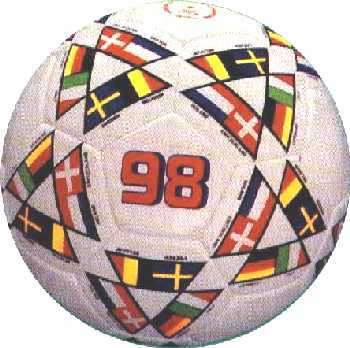 The appearance of the balls was crafted by a professional artist to make them look as good as they play. The balls are made in a facility that is guaranteed free of child labor. The balls are approx. 26.89 in. (68.3 cm) in circumference and weigh about 14.99 oz. (425g). All balls are official size and weight. 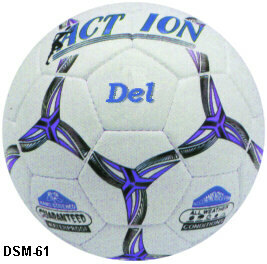 Both our Match and Training soccer balls are available with latex or butyl inner cores.